The Ford EcoSport is available with 2 petrol engine options: a 1.5-litre Dragon series engine and a 1.0-litre EcoBoost. The 1.5-litre, 3-cylinder petrol engine produces a maximum of 123PS of power and 150Nm of torque, mated to a 5-speed manual gearbox. The Tata Nexon, on the other hand, is offered with a 1.2-litre, 3-cylinder turbo-petrol engine that is capable of 110PS of max power and 170Nm of peak torque, mated to a 6-speed manual transmission. 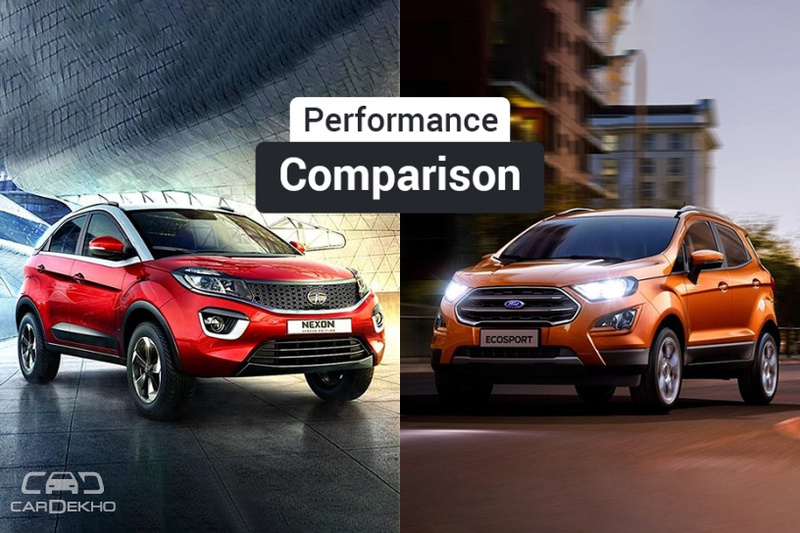 We compare the EcoSport 1.5 and the Nexon 1.2 to find out how the difference in claimed figures affect performance and fuel economy in the real world. In our tests, the Nexon is quicker to hit a 100kmph from standstill. However, in terms of in-gear acceleration, the EcoSport wins since it can go from 30kmph to 80kmph in third gear 0.71s faster than the Tata. Even in the sprint from 40kmph to 100kmph in fourth gear, the EcoSport proved to be faster by 1.5s. While the Nexon was 0.45s quicker to complete the quarter-mile drag, the EcoSport was actually going a tiny bit faster at the end. In conclusion, the Tata Nexon is quicker from a standstill, while the Ford EcoSport is quicker on the roll. The Nexon stops sooner than the EcoSport in both tests - 7.3 metres sooner from a 100kmph and 4.23 metres sooner from 80kmph. 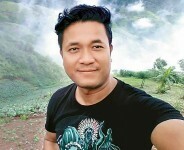 When it comes to city driving, the Tata Nexon is clearly more fuel efficient than the Ford EcoSport while both sub-4m compact SUVs offer very similar figures at highway speeds. If your daily commute involves driving in the city for most of the time, the Nexon petrol is the better pick, especially with the rising fuel prices. 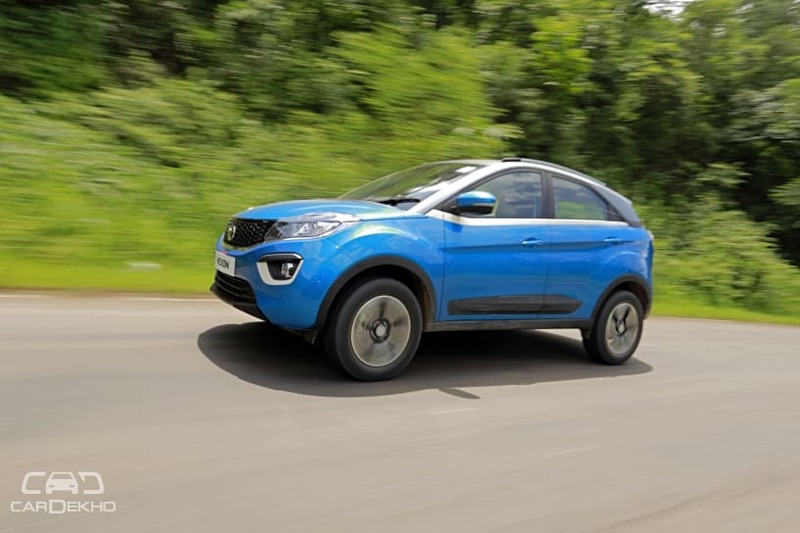 It’s a mixed bag when it comes to the acceleration performance of the Nexon and the EcoSport. 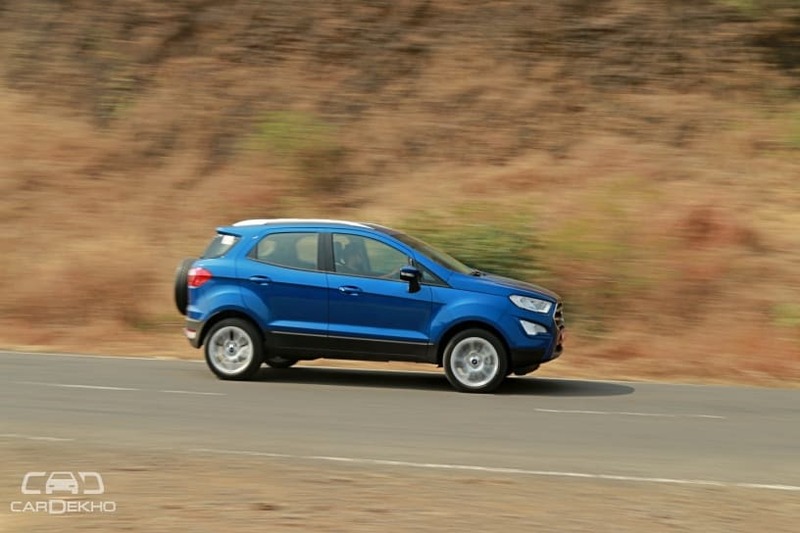 While the Nexon is quicker from standstill, the EcoSport is quicker on the move. In terms of braking, the Nexon performs notably better. As for fuel economy, the Nexon makes more sense for frequent city use while at highway speeds, the EcoSport also offers similar efficiency. Overall, the Tata Nexon appears to be the better performing package of the two.